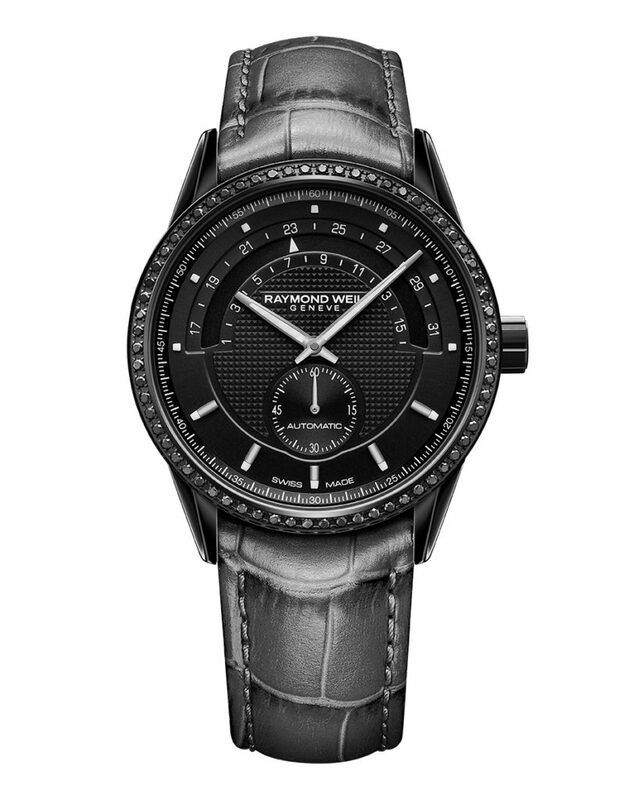 The famous RAYMOND WEIL Lady freelancer, now has a new addition to its collection. This latest model offers a contemporary style that is both distinct and confident. It is the perfect accessory for the empowered woman. The Black Diamond Lady freelancer is an automatic ladies’ watch designed in sleek shades of grey PVD coated steel. 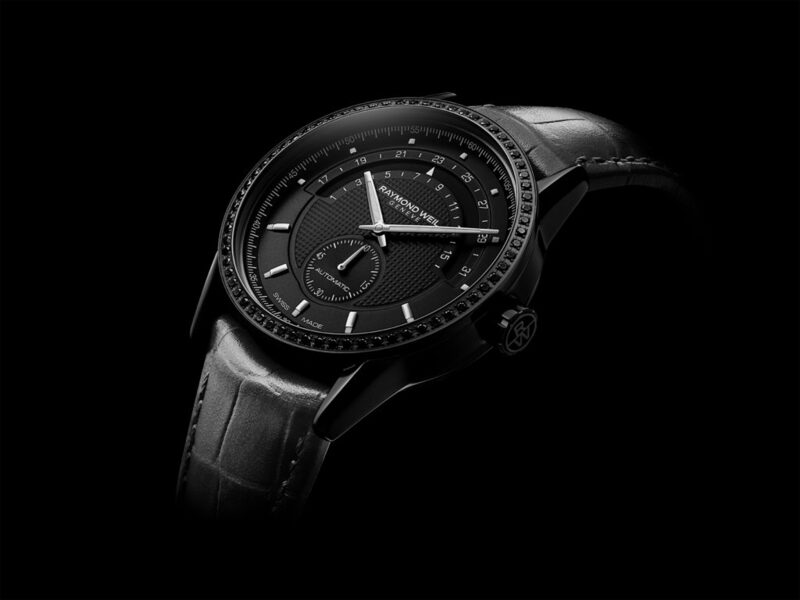 The watch is further distinguished by the sixty-six black diamonds situated around the darkened steel 38mm bezel. However, the updated date window may be one of the most prominent characteristic of this stunning timepiece. It’s half-moon opening on the dial truly completes the powerful aura of this watch. With beautiful attention to detail and an impressive 38-hour power reserve, the Black Diamond Lady freelancer, is completed with a grey genuine calf leather strap secured by a RW folding clasp and double push-security system. 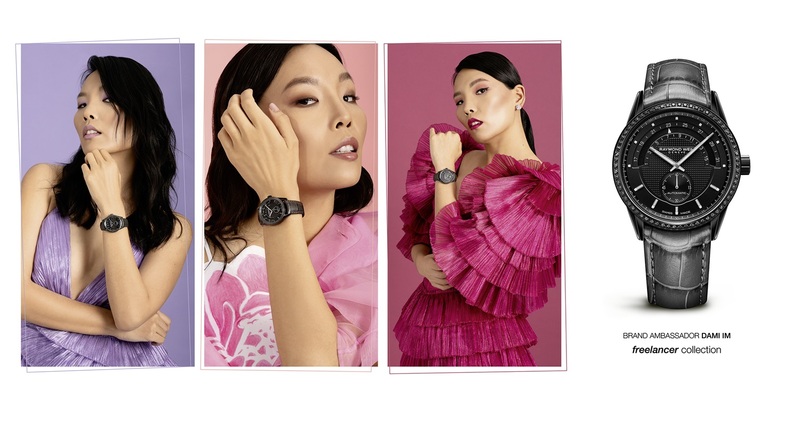 To celebrate this new Lady freelancer model, RAYMOND WEIL is proud to introduce our newest Brand Ambassador, Dami Im. A Koreanborn Australian singer-songwriter, Dami is famous for achieving the highest score ever for Australia in the Eurovision Song Contest, and for winning the fifth season of The X Factor Australia. Dami’s instant popularity secured her a contract with Sony Australia and released her first award-winning single, “Alive,” in 2013. Now, she is currently topping the charts and playing to sold out audiences across Australia with her new album “I Hear A Song”. Much Like the RAYMOND WEIL brand, Dami found her love for music through her family. Classically trained in piano and a self-taught singer, Dami’s determination and passion grew her into the superstar she is today. It is these qualities that resonate with the freelancer collection and make Dami a perfect representative for the brand. The Ladies freelancer collection is an expression of women who lead a dynamic lifestyle. The exclusive automatic movement represents their strong prowess and the design exudes a smart feminine touch. The latest Black Diamond model fits the collection persona but has its own individuality. The monochromatic design keeps the style modern and adds a distinct edge to this watch.